I love veggies these days so it's always fun to add them all to a recipe. Just because this recipe calls for certain ones doesn't mean you can't add your own favorites to it! 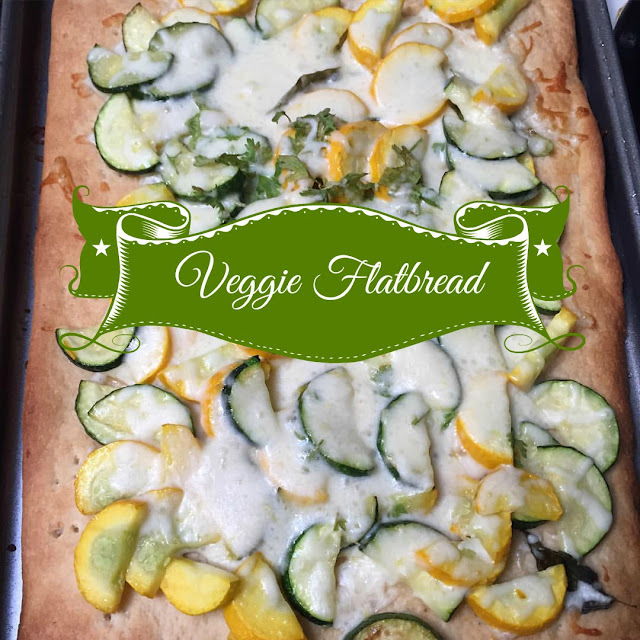 Click here for the Roasted Veggie Flatbread Printable Recipe.. Which veggie is your favorite? So going to have to try this out. I love zucchini. I just made a zucchini bake the other night. it is ! Trust me!! Hey, this looks awesome, Ellen!! I love both zucchini and squash, but as of now, my favorite veggie is asparagus and I could literally eat it with every meal. This flatbread looks super tasty!!! asparagus is one of my favs too!!! and its so good for you! mine too! I'm a sucker for anything with that combination lol! 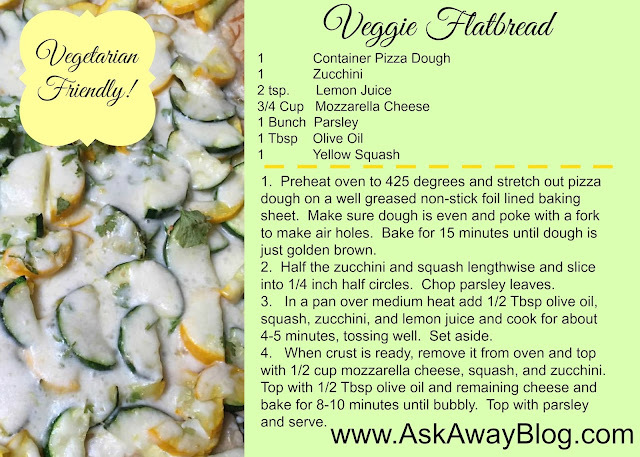 I'm thinking adding some bell peppers, mushrooms would be pretty awesome with the squash... your pizza looks wonderful! yes it would absolutely be a great idea!! !